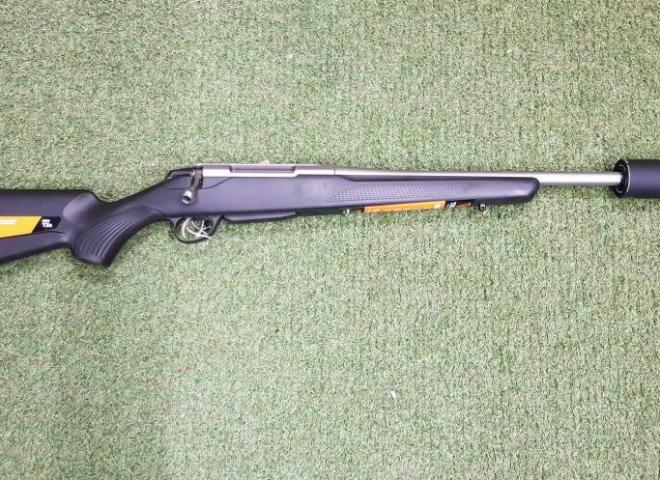 New Tikka .243 bolt action rifle with stainless barrel and synthetic stock. Tikka T3X Lite Synthetic in 243 screwcut 14x1 detachable magazine. 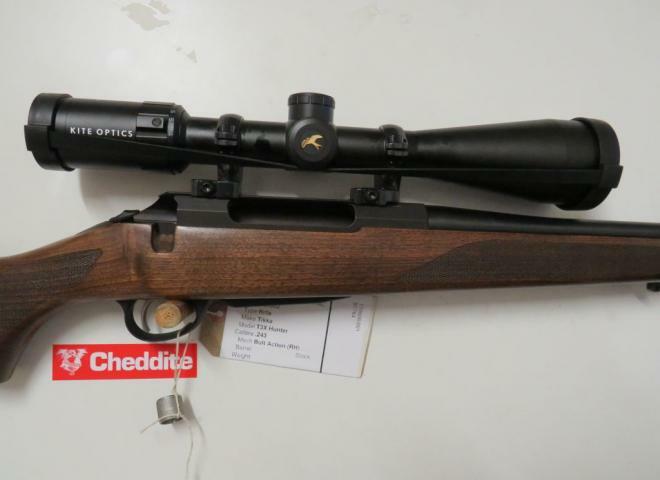 Tikka in great condition, comes with upgraded stock with adjustable cheek piece. Also comes with stainless optilock mounts and bases. New, With Box, Detachable Magazine and 14 x 1 Threaded. .243 Tikka T3X Lite Package with Burris Four-X 3-12x56 illuminated reticule scope, Opti-lock mounts & bases, Stalon sound moderator, QD swivels & neoprene sling. 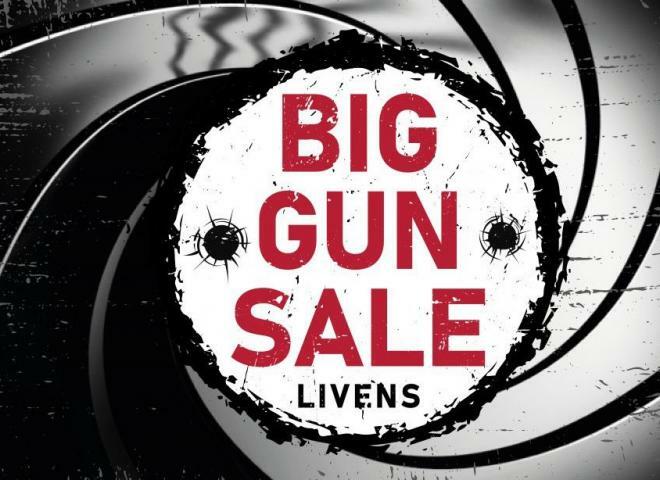 Package price £1,795 saving £360!! Good condition, minor marks consistent with age, comes with simmons scope, a rifle craft moderator, threaded 1/2" UNF, original tikka mounts. Sold by us 2 years ago. This rifle features adjustable cheek piece, blued barrel and action, Optilock 30mm rings and basses plus a A-tec Hertz sound moderator. 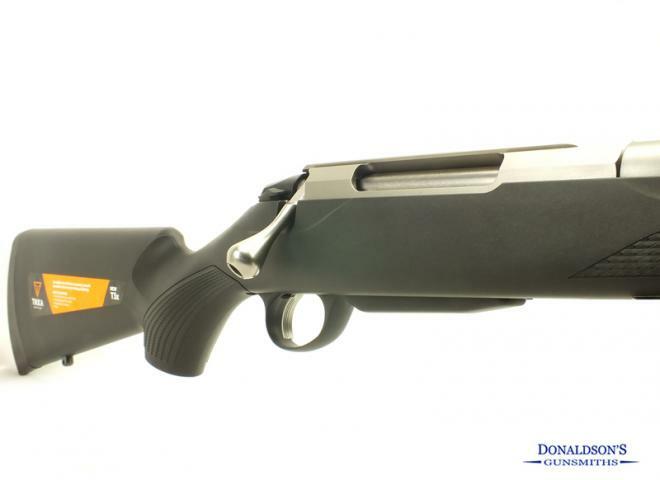 This Tikka M595 comes fitted with a Burris 6x40 and is screw cut and moderated . T3X Varmint blued 20" Barrel screwcut 18x1 with detachable magazine sat in a Limited Edition GRS Beserk Brown stock. GRS have produced a limited edition series of Berserk stocks in Ral 8000 colour. A good condition outfit with a reflex over barrel sound moderator. 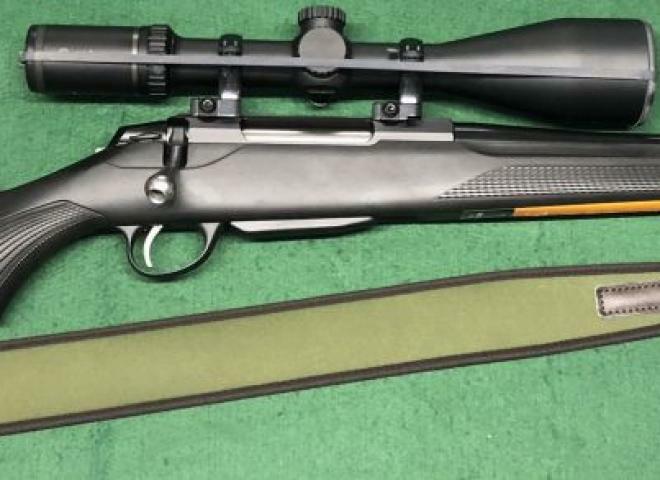 .243 Tikka T3 Hunter with Schmidt & Bender 6x42 scope, two piece mounts & rings, Harris bi-pod & sling. New, With Box, Detachable Magazine, 18x1 Thread. 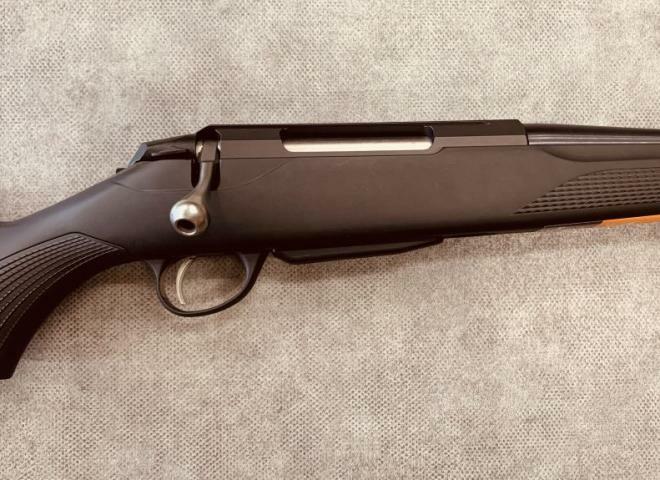 NEW....Tikka T3X Lite in .243 calibre with synthetic stock, stainless barrel and threaded muzzle making this superb new rifle sound moderator ready.